My daughter studied in Chicago for five years earning undergraduate and masters degrees. This turned out to be wonderful for both of us. She loved the University of Chicago and I loved visiting her. While she was there, I think I went fourteen times. Of course I never went in the winter. I did go in March one year. It was so cold and windy I decided thereafter to go no later than October and no earlier than April. Even then, you couldn’t be sure. One Memorial Day weekend, it was 80 degrees and, one evening, within five minutes, the temperature dropped thirty degrees and gale-force winds blew in off Lake Michigan. You just never knew. The campus of the University is Gothic, gorgeous. Hyde Park, on the south side of Chicago, is elegant with its stately old homes and tree-lined streets. And the city is full of interesting things to do. I’ll mention three. First are the Chicago Architectural Foundation architecture tours. 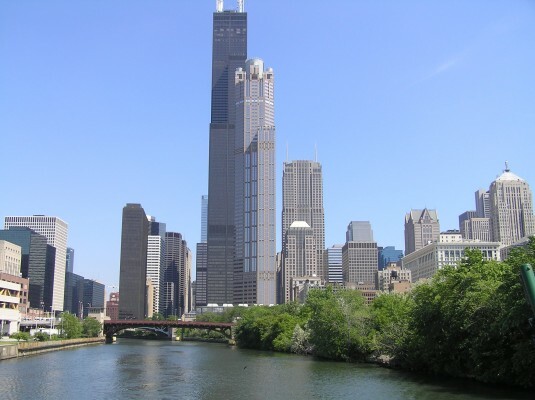 There are walking, biking and segway tours, but my favorite is the Chicago River tour. Many important and architecturally significant buildings are visible by boat. The knowledgeable guides inform and amaze with their stories of Louis Sullivan, Frank Lloyd Wright, Daniel Burnham, and others, who so beautifully designed many of the iconic edifices. 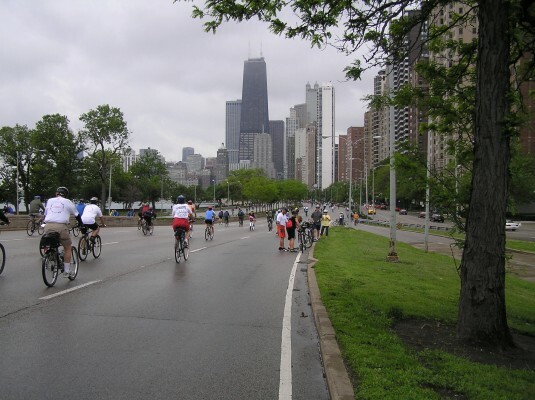 Second, on the Sunday of Memorial Day weekend, the City closes Lakeshore Drive to vehicular traffic from 5:00-10:00 am and opens Bike the Drive. Thousands come to ride their bikes on this most scenic roadway alongside Lake Michigan. Many ride in costume, some on what appear to be home-made or otherwise unorthodox looking bicycles. You can ride for miles right through downtown with its towering skyscrapers. It’s fantastic! Third, is a tour of Wright-designed buildings. 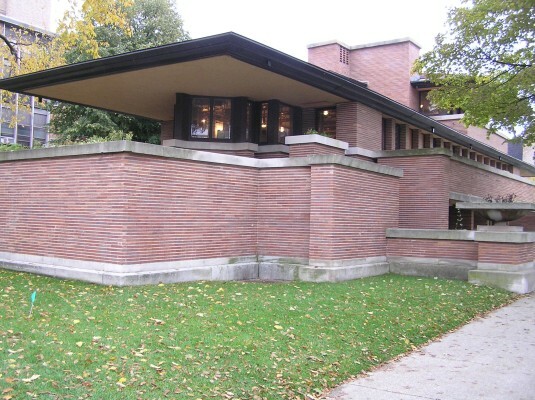 The Robie House is right on the U of C campus. Many homes that Wright designed can be seen in his very own neighborhood of Oak Park, a close-in suburb. In addition you can visit his home and studio and learn a great deal about his life and work. You can also buy two excellent books: The Women and Loving Frank, both of which are fascinating. and see the Frank Gehry-designed bandshell, maybe even hear a concert. 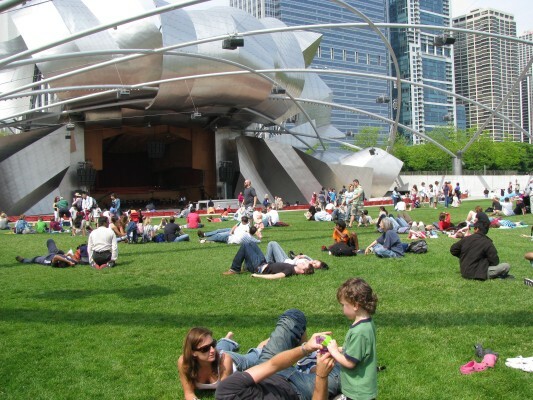 The Park is located across the street from and accessible by a walking bridge to the Art Institute and also across Lakeshore Drive from the Lake where you can walk the attractive lakeside path. 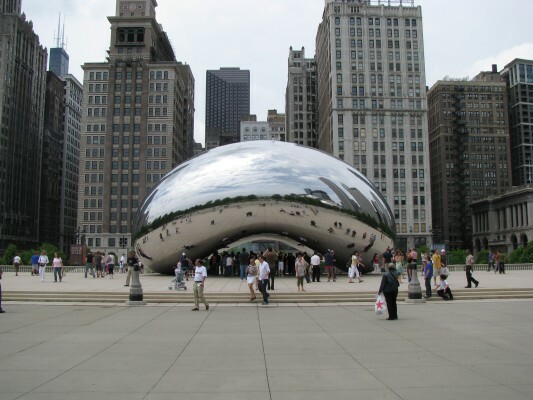 Chicago is a world-class city, definitely worth a detour!